It has been 11 years since the horrific attack on the World Trade Center in New York City. 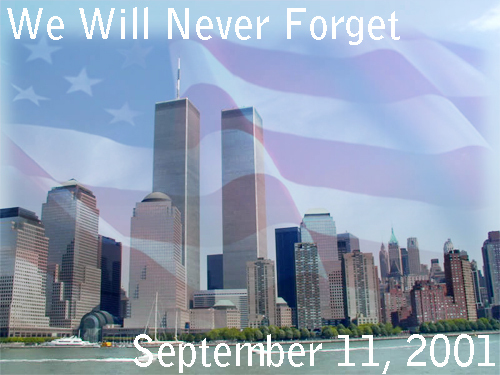 For that I have made a remembrance banner that you can post and share. I have posted it on my facebook page. I will also share it here. Do you remember where you were on this day? I do. I was working at Albany Medical College. I was a little disappointed when I asked my nine year old son if he knew what this day meant. He had no clue. I figured by 4th grade they would have taught that, but hopefully they will learn today.